Apple products have always fared exceptionally well over the Christmas period but its iOS devices experienced an impressive boost with the number of new devices seen by app analytics company Localytics increasing as much as 12 times over the holiday weekend. According to the Localytics, iOS (12.5x) and Android (12x) saw similar growth patterns between December 23 – 26 when compared to previous weekends since November 25 but the company noted a distinct difference in the regions where growth was being registered. Apple saw a number of new devices accessing the App Store from the U.S, Germany and the UK, whereas South Korea, Sweden and Spain saw the most new Android device activations. 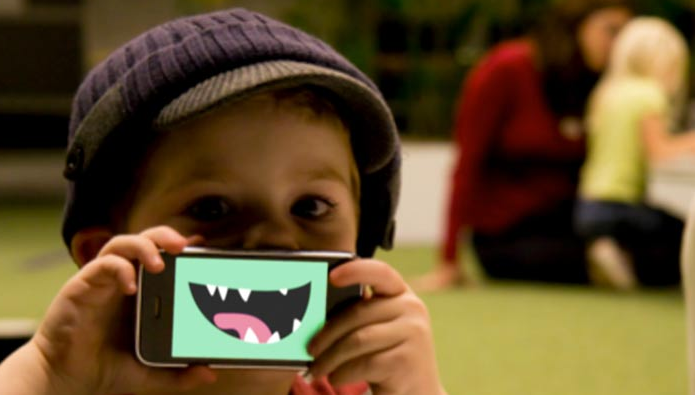 The growth of Apple’s iOS platform in the U.S and the UK mirrors an earlier report by Kantar Comtech Worldpanel, which saw iOS increase its market share in the two countries thanks to the impressive launch of the iPhone 4S. As you can see from the graph above, the iPhone remained the most popular iOS device by quite a distance but the iPad and iPod touch helped contribute to Apple’s impressive growth in the U.S and Germany. 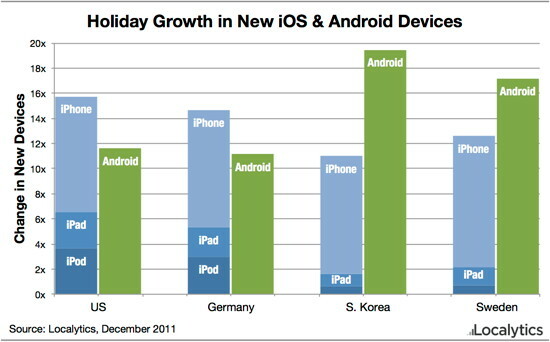 Localytics says that whilst it saw 14x more iPhones, it registered 21x more iPods accessing apps over the Christmas weekend. In comparison, Android grew the most in South Korea, seeing 80% more Google-powered devices than iOS. Both Japan and Sweden saw up to 50% more use than Apple devices but couldn’t overtake Apple in the US, Germany, the UK, Italy and Malaysia.